This window was erected by Mr. James Boardman in 1897. Mr. Boardman had been a warden of St. Mary's, Deane, from 1867 to 1872 and then moved to London. He is the author of 'Records and Tradition of Deane Church, Village and Parish' (Two volumes). Mr. & Mrs. Boardman were both natives of Deane, and the window was given in thankfulness for 40 years of marriage. The window was dedicated on Wednesday, March 10th, 1897 by the Bishop of Ballaratt (later to become Suffragan Bishop of Blackburn). 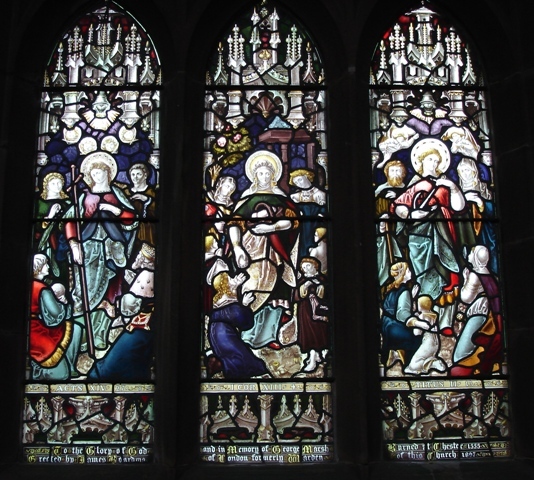 It is a three-light window depicting Faith, Charity and Hope. Left light - Faith holding a cross. The verse (Acts 14, verse 27) specifically refers to Gentiles receiving the Faith through the preaching of Paul and Barnabas. Central light - Charity - the giving of food and clothing 1 Corinthians, Chapter 13, verse 13. Right light - Hope, holding an anchor. Titus, Chapter 2, verse 13. 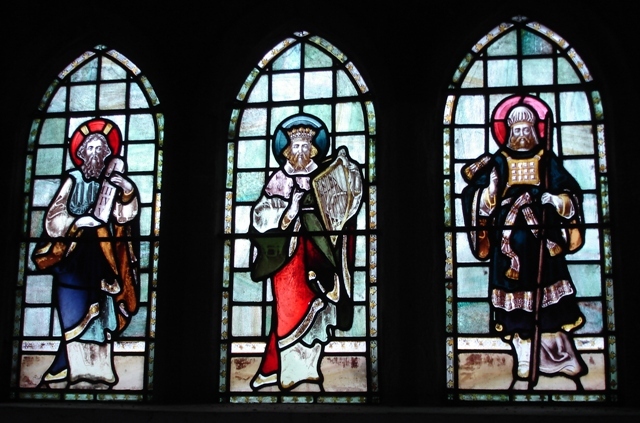 Above is a three-light clerestory window, representing Moses, Aaron and David.